Guillaume is consultant for ABB’s Enterprise Software product group. ABB's Energy Portfolio Management is a market leader supporting ISOs, utilities, power companies, and other energy market participants with critical decision tools for infrastructure investments (Power Stations, Power and Gas Lines) and applications that support daily power operations including trading, asset optimization, forecasting, market communication and settlements. 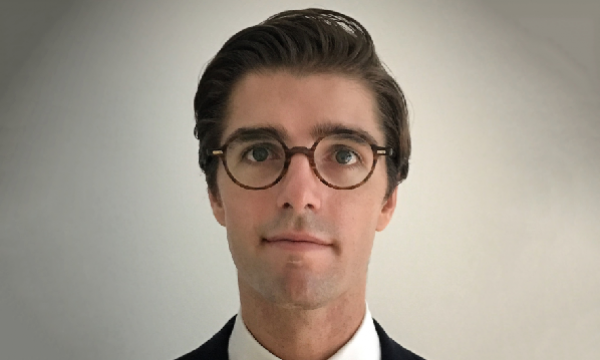 Guillaume’s energy sector expertise spans power generation, transmission, distribution, retail and demand side generation, with consulting expertise in fundamental electricity market modelling, forecasting, and portfolio optimization. Over the recent years at ABB he has been working with large utilities, market operators and project developers looking for market design providing economic welfare, renewable integration without risk on system stability and investment analysis and trading strategies optimization accounting for risks and profitability targets. Guillaume joined ABB in 2010 and has held roles in the energy software and advisory business since then. He holds a Master's degree in Mechanical Engineering from the Swiss Federal Institute of Technology Lausanne. He will be speaking at the 2017 Asian Power Utility Forum on April 6 at the Ritz-Carlton Mega Kuningan. Consulting and presales positions with ABB Enterprise Software working on Energy Portfolio Management solutions including Distributed Energy Resources Management, market settlements and Portfolio Optimizations solutions for the European markets. Integrity in everything I do. Trust which is key for doing business is built through transparency and honesty. To be successful, we must build each stakeholder's trust through the integrity of our words and our actions. Always keep Sustainability in mind. This is about balancing economic success, preservation of the environment and social progress. Sustainability considerations cover how I advise customers and how I behave in the communities where my organization operates and towards one another, while striving to ensure the health, safety and security of our employees, contractors and others affected by our activities. Can you give us a glimpse of what you will talk about at the Asian Power Utility Forum in Jakarta? I will talk about the challenges of balancing demand and supply given the current evolution in energy mix and how our portfolio of solutions can help. The increase of intermittent renewable and distributed energy resources requires adapted transmission and resource planning, market design and portfolio optimisation methodology and tools. With more renewables, planning requires further risk analysis related to system constraints and market see increased needs for balancing services that can be addressed by distributed technologies. I will illustrates the needs for these modern requirements through some case studies and present how ABB’s suite of products and services can help.